In the spirit of the holidays, here is your token Thanksgiving recipe. Everybody always does a bird, so what better way to put more meat in your holiday dinner than with a sausage stuffing? I’ve said it before and will say it again: meat and bread is always a crowd pleaser. 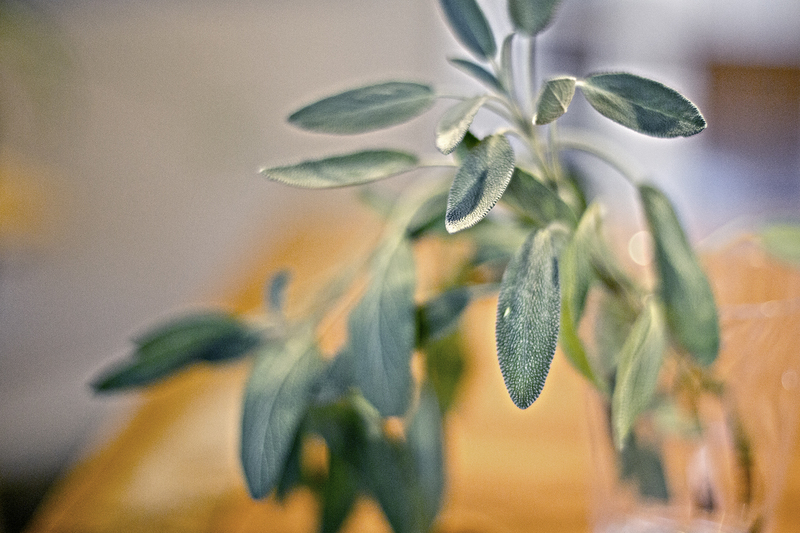 Sage is a popular herb for stuffings and other wintry fares. For this recipe, I used a rosemary loaf from the bakery plus a few kaiser rolls I found in the back of my freezer and dried them overnight. If you simply cannot wait another day to make this, you can certainly buy the pre-dried stuffing cubes they sell at the grocery store bakery. The original recipe called for 8 eggs. I did not want to use 8 eggs, so I used 6 and it worked fine. If you want larger cubes of bread (which I did, because I feel like it’s prettier and tends to not get mushy), then add a little more broth. While you don’t want mushy stuffing, you do want it to soak up some liquid. Also, you can leave out the fennel if you absolutely hate fennel, but once it cooks down it gets nice and sweet and adds a little je ne sais quoi. If it’s looking a little dry, give it another good splash of broth. Preaheat the oven to 35Spread the nuts on a baking sheet and toast until brown (but not burned), about 5 minutes. Let cool, then toss in a big bowl with the sage, figs and bread cubes. In a large skillet, brown the sausage and remove with a slotted spoon to a plate lined with paper towels. Add 4 tablesppons of butter to the drippings (you're going to want about 6 tablespoons total, so adjust accordingland add the onion, fennel, celery, carrot and fennel seeds. Add salt and pepper to taste. Sauté over medium heat until soft, then set aside and let cool. 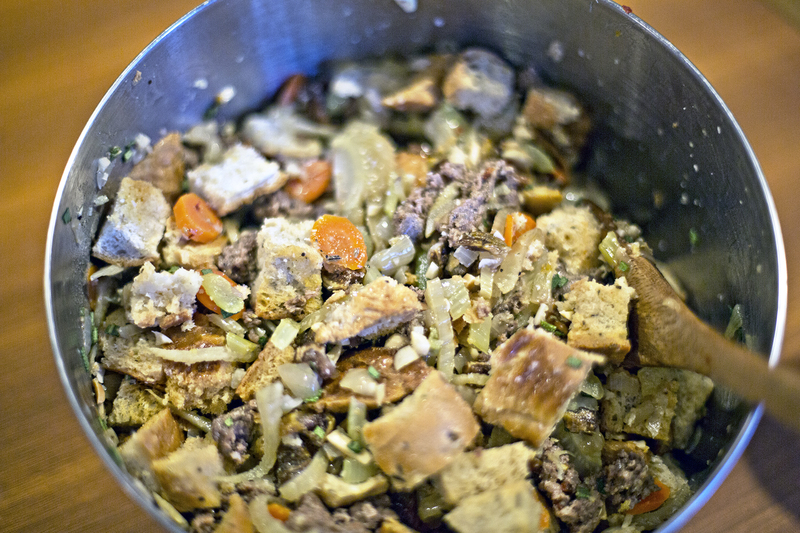 Mix together the cooled vegetable mix, stock and eggs in with the bread, nuts and figs. Mix until fully incorporated. If your bread is looking a little dry, put a little more stock in there. Put it all into a well-buttered 13x9 baking dish and bake at 350 for 30 minutes.